This green Nature Mates Sheltered Tube Bird Feeder blends well into your backyard greenery. 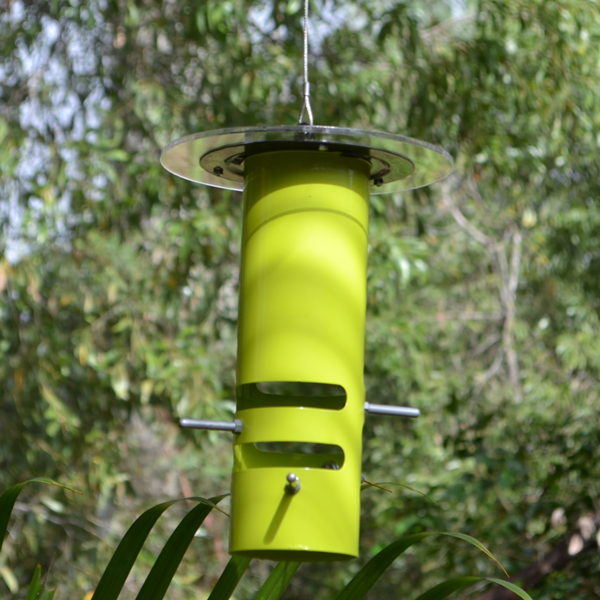 This tube feeder provides 4 feeding perches to encourage the simultaneous feeding of food from multiple birds. 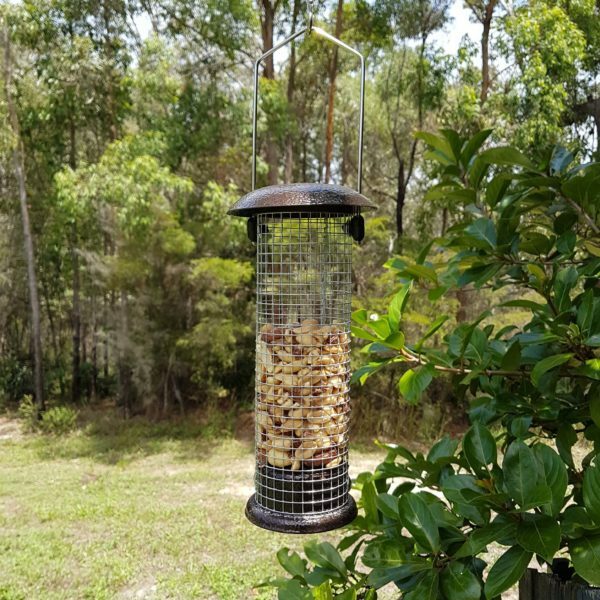 The feeder is quite versatile in that it can be used to offer fruit, suet or even seed and nuts. The perspex shelter on the top of the bird feeder ensures that your bird food remains dry during rains. 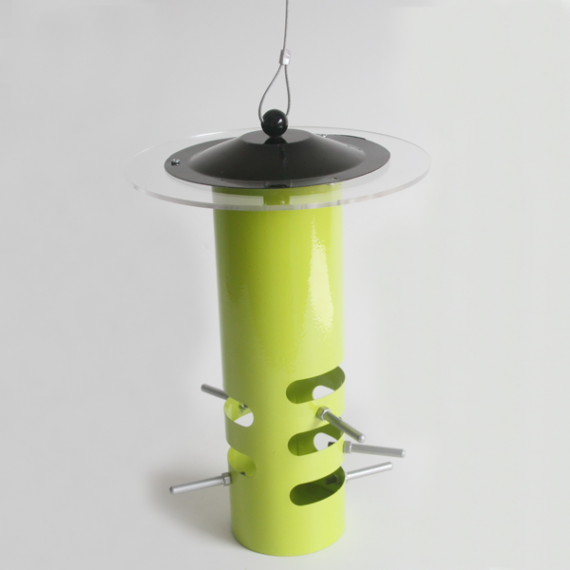 The bird feeder is fitted with a wire coated loop for easy hanging on branches or with wire or rope. 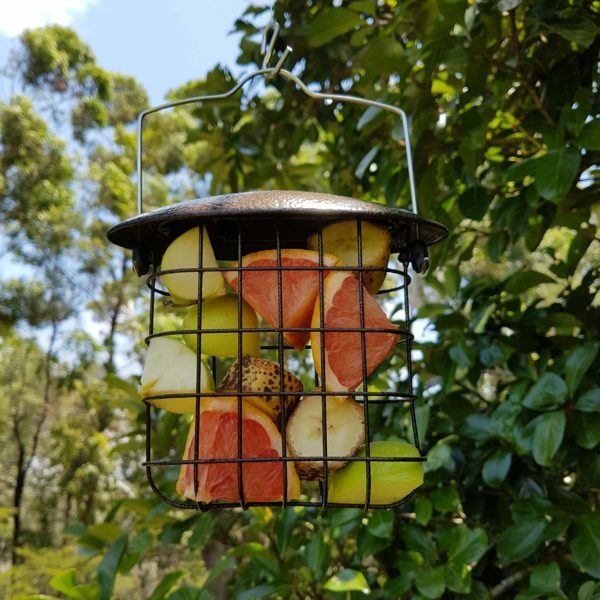 It’s extremely easy to fill, just twist the perspex lid to open and fill with fruit or suet. 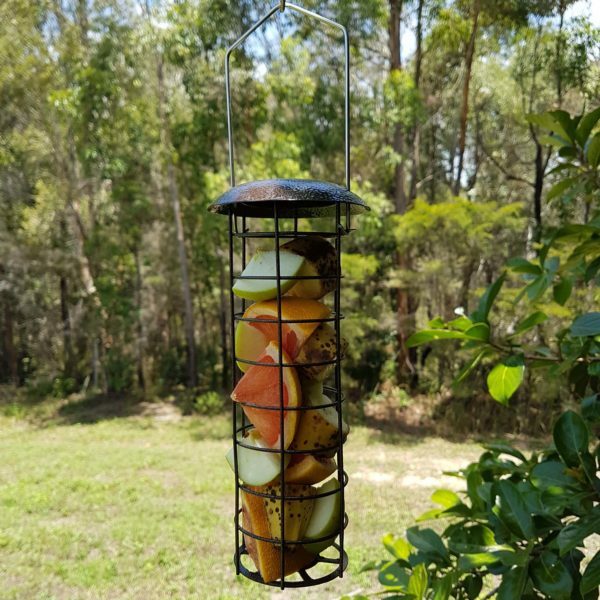 Nature Mates offers shipping on all products to anywhere in Australia. Shipping costs are dependent, mostly on weight, but become more cost-effective for larger orders, meaning that you benefit more from ordering multiple products. Shipping costs will never exceed $15.99, regardless of the size of the order. Shipping costs are not dependent on location. Shipping is conducted primarily through Australia Post at a standard class and usually takes between 3 and 7 business days depending on the delivery address (we are based in Queensland). Some larger orders and orders to regional areas are conducted through our courier partner, Sendle. These deliveries can take slightly longer. We attempt to process all orders within 24 hours (business days) of you placing your order and will always attempt to dispatch your delivery the following business day. Sometimes, delays with couriers can occur. Nature Mates also offers shipping to New Zealand. Shipments to New Zealand incur a $20 per item additional charge. If a customer receives a damaged item, they have the right to return the item to us for either a full refund or a replacement of the item within 7 days of receipt of the item. Nature Mates will also refund the customer the cost of the return postage, if returning is required. 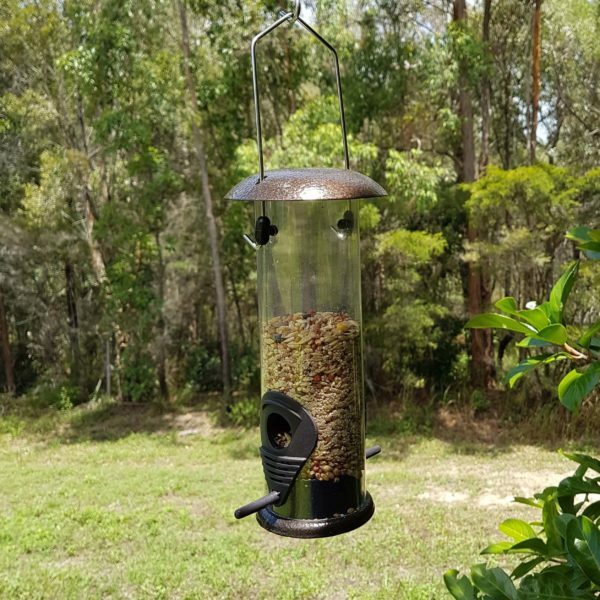 Nature Mate will fulfil its obligation to the customer once the damaged item has been received or once the customer provides a photo of the damaged product. Returned items must be returned in their original packaging with all accessories, and must be in the same condition in which they were received. Return postage and costs will be the responsibility of the customer.